Now, who would have thought that today we could have our consoles integrated in our cellphones at the same time? I know Einstein didn’t. Sure, there are handheld video game consoles and whatnot…but you can’t talk with that can you? I thought so. 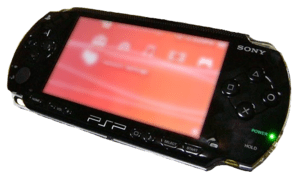 Yesterday, Sony Ericsson introduced for the first time a smart phone with the capacity to hold up the Sony Playstation with many games to choose from. ~ by Angie on February 16, 2011.